The Food and Drug Administration (FDA) just raided the headquarters of popular e-cigarette maker JUUL Labs in San-Francisco. It seized thousands of pages of documents about the vape maker’s sales and marketing strategies, according to the Wall Street Journal. The raid comes on the tail of a huge effort by the agency to stop e-cigarette makers from marketing to minors. The FDA has been on Juul’s case since April 2018, telling it off for targeting users under the age of 21. Earlier this month, the agency gave Juul 60 days to get its act together. Juul holds considerable power in the e-cigarette market. 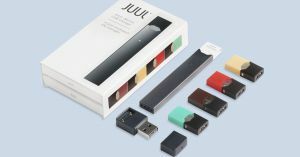 According to a recent Wells Fargo analysis as reported by CNBC, Juul’s sales skyrocketed 783 percent in just one year; experts estimate the company controls 68 percent of the e-cigarette market, according to data compiled by Bloomberg. The FDA got interested because adolescents are such huge fans. The National Institute on Drug Abuse found that 7 in 10 teens are exposed to e-cig ads. Even the New York Times and the Wall Street Journal have reported that vaping’s popularity has taken off among teens. The jury is still out whether using e-cigarettes is bad for your health, especially for teens who weren’t smokers before. Vaping was found to leave toxic chemicals in the lungs. But there’s a lot we don’t know yet. The unfortunate reality: teens do what they want, but they often don’t know what’s good or bad for them, either. It’s time for us to do a better job at parenting them, parents and governing bodies alike.